After announcing the decision of assessment council establishment and scientific background of the student, they have represented a summary of the thesis to the Council. The comments of the reviewers, commissaries and other memebers in the Council concentrated into the contents and the format of the thesis; besides the scientific information, the thesis author had been advised of right format by the Council. The operating council includes Assoc. Prof. Dr. Dao Dang Phuong - The president of the Council; the other memebers: Assoc. 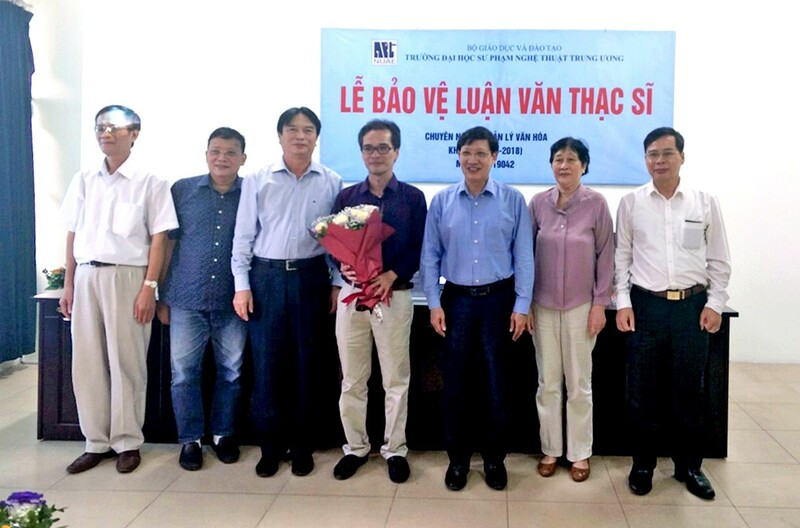 Prof. Dr. Trinh Minh Duc, Dr. Dao Hai Trieu, Assoc. Prof. Dr. Nguyen Van Can, Dr. Do Quang Minh (Reviewer 1, Reviewer 2, Commissary and Secretary). Content Summary: Information and promotion activities are important in social life, requiring managers to have a new way of doing things in terms of scale and art of propaganda. 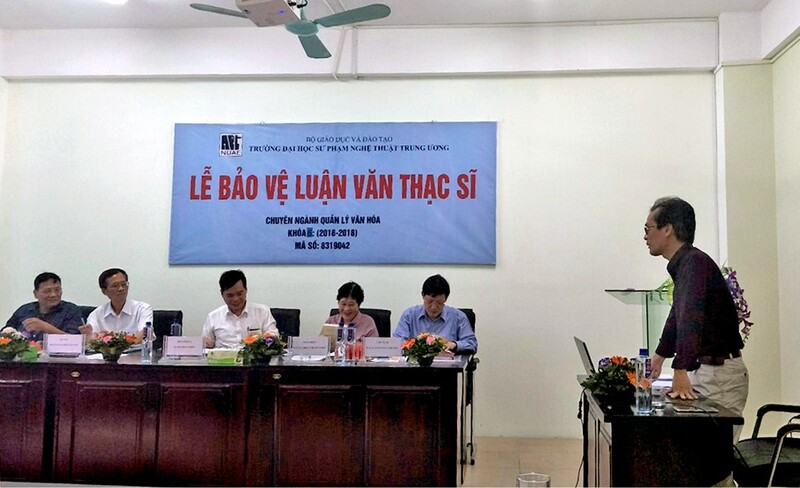 In fact, the activities in Ngo Quyen district is increasingly concerned, invested and upgraded material facilities and equipment for propaganda activities in both size and form of operation. However, with the current information explosion, it is clear that the district's renovation work needs to be fundamentally and comprehensively renewed to meet the new situation and fulfill all assigned tasks. With the desire to understand the diversity of propaganda and promotion so far in Ngo Quyen district, as well as factors influencing this activity, the author selects the topic “Management of information and promotion activities in Ngo Quyen District, Hai Phong City” to assess the current status of information management and promotion activities in Ngo Quyen District, Hai Phong City, and propose some solutions to effectively manage and improve the quality of local cultural activities in the coming time.